Round 1 of the contest has been completed! You can see what pics I have been using here. Hi kids, it’s Splotchy, with yet another idea to brighten your day. I have created a new Twitter account called Name That Face! where I will post pictures of various people — actors, politicians, musicians, etc. Your goal will be the first to identify the face in the photo. Sometimes there will be bonus points given for additional information. To play this game, just start following Name That Face on the Twitter (you’ll of course have to get a Twitter account). I’ll keep a running tally of everyone’s scores, and store it (for now, at least) on this post. I am giving an extra point if you tell me what movie this still is from. Remember, don’t name the face here. Name it in a reply to my NameThatFace account on the Twitter. This entry was posted in name that face, twitter. Bookmark the permalink. nice try, but i’m still not getting a Twitter account. As for the face, you’re going to have to answer to the Coca-Cola company for that. I’m not doing the twitter! 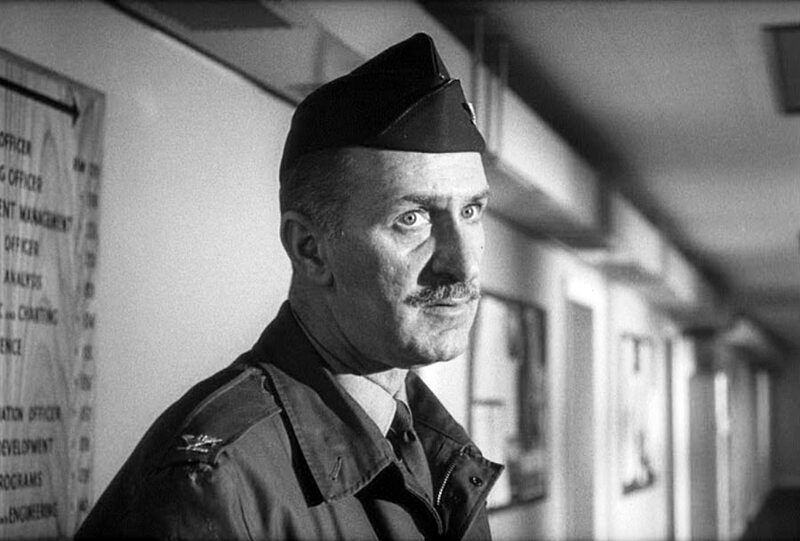 Kenan Wynn from Dr. Strangelove. I resurrected my Twitter account just to guess. I feel so dirty. 2 points! Face! Can you stand it! ?